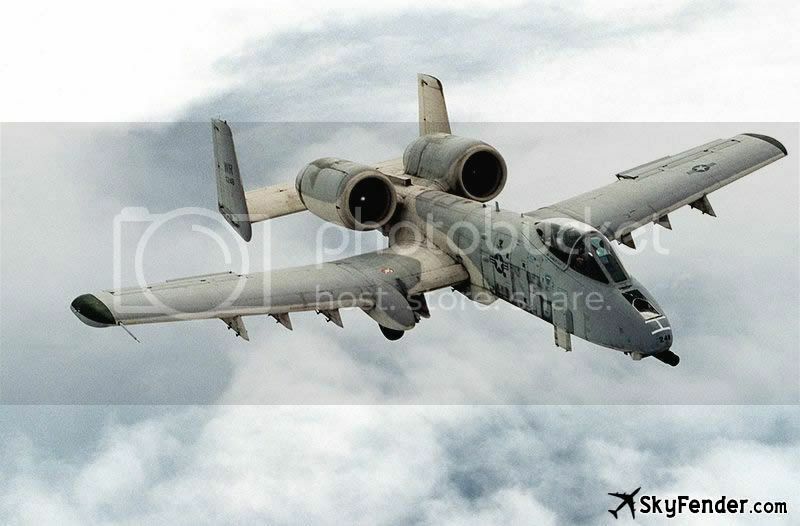 The A-10 was designed around the GAU-8 Avenger, a heavy rotary cannon which forms the aircraft's primary armament (and is, to date, the heaviest rotary cannon ever mounted on an aircraft). The aircraft's hull incorporates over 1,200 pounds (540 kg) of armor and was designed with survivability as a priority, with protective measures in place which enable the aircraft to continue flying even after taking significant damage. 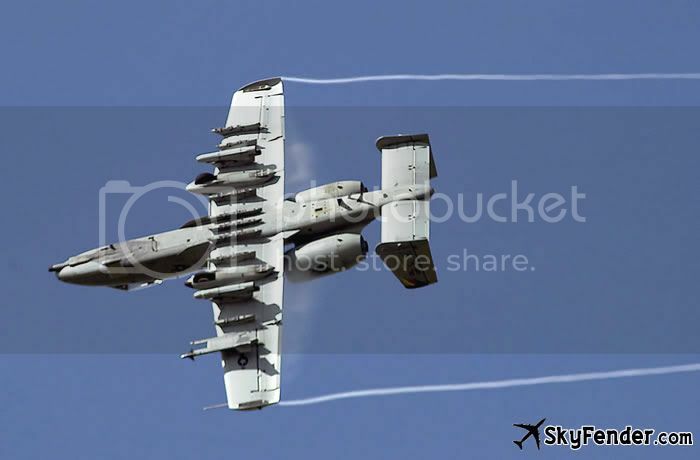 Engine exhaust passes over the aircraft's horizontal stabilizer and between the twin tails, decreasing the A-10's infrared signature and lowering the likelihood that the aircraft can be targeted by heat-seeking missiles fired from the ground. The placement of the engines behind the wings partially shields them from anti-aircraft fire. The leading edge of the wing is honeycomb panel construction to provide strength with minimal weight compromise. 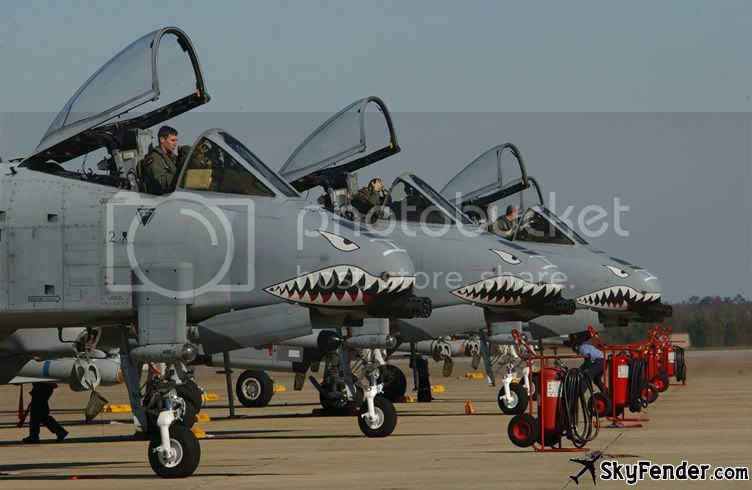 Honeycomb panels of this type on the A-10 include the flap shrouds, elevators, rudders and other sections of the fins. The A-10 has integrally machined skin panels. Because the stringers are integral with the skin there are no joint or seal problems. These panels, fabricated using computer controlled machining, reduce the time and hence the cost of production. Combat experience has shown that this type of panel is more resistant to damage. The skin is not load-bearing, so damaged skin sections can be easily replaced in the field, with makeshift materials if necessary. The ailerons are at the far ends of the wings to gain greater rolling moment, as with many aircraft, but there are two distinguishing features. The ailerons are larger than is typical, almost 50% of the wingspan, providing improved control even at slow speeds. The aileron is also split, making it a deceleron. 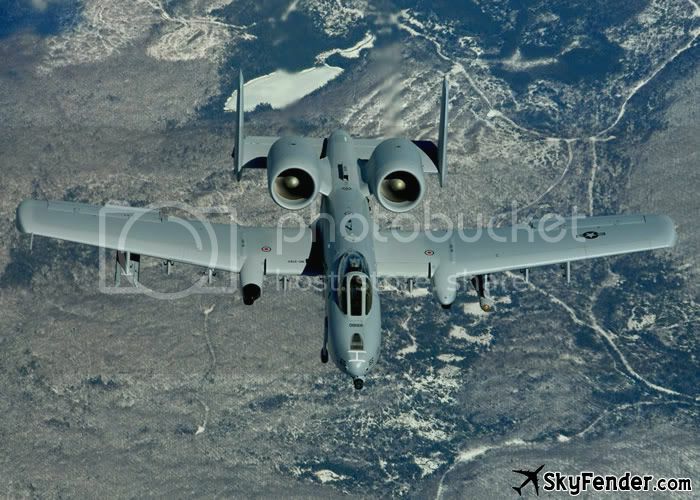 The A-10 is designed to be refueled, rearmed, and serviced with minimal equipment. Also, most repairs can be done in the field. An unusual feature is that many of the aircraft's parts are interchangeable between the left and right sides, including the engines, main landing gear, and vertical stabilizers. The sturdy landing gear, low-pressure tires and large, straight wings allow operation from short rough strips even with a heavy ordnance load, allowing the aircraft to operate from damaged airbases. 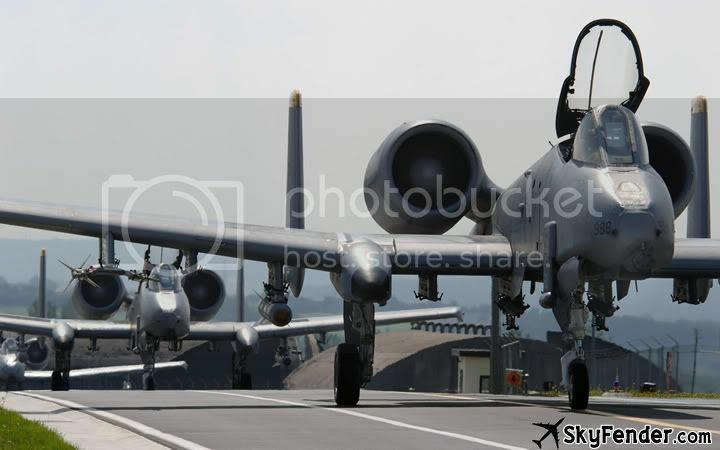 If runways are damaged in an attack, the A-10 can operate from taxiways or straight roadway sections. The front landing gear is offset to the aircraft's right to allow placement of the 30 mm cannon with its firing barrel along the centerline of the aircraft. During ground taxi, the offset front landing gear causes the A-10 to have dissimilar turning radii. Turning to the right on the ground takes less distance than turning left. 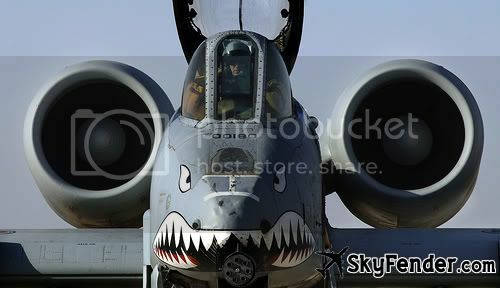 The A-10 is exceptionally tough. Its strong airframe can survive direct hits from armor-piercing and high-explosive projectiles up to 23 mm. The aircraft has triple redundancy in its flight systems, with mechanical systems to back up double-redundant hydraulic systems. This permits pilots to fly and land when hydraulic power or part of a wing is lost. Flight without hydraulic power uses the manual reversion flight control system; this engages automatically for pitch and yaw control, and under pilot control (manual reversion switch) for roll control. In manual reversion mode, the A-10 is sufficiently controllable under favorable conditions to return to base and land, though control forces are much higher than normal. The aircraft is designed to fly with one engine, one tail, one elevator, and half of one wing missing. Its self-sealing fuel tanks are protected by fire-retardant foam. The A-10's main landing gear is designed so that the wheels semi-protrude from their nacelles when the gear is retracted so as to make gear-up belly landings easier to control and less damaging to the aircraft's underside. Additionally, the landing gear are all hinged toward the rear of the aircraft, so if hydraulic power is lost the pilot can drop the gear and a combination of gravity and wind resistance will open and lock the gear in place. The cockpit and parts of the flight-control system are protected by 1,200 lb (540 kg) of titanium armor, referred to as a "bathtub". The armor has been tested to withstand strikes from 23 mm cannon fire and some strikes from 57 mm rounds. It is made up of titanium plates with thicknesses from 0.5 to 1.5 inches (13 to 38 mm) determined by a study of likely trajectories and deflection angles. This protection comes at a cost, with the armor making up almost 6% of the aircraft's empty weight. To protect the pilot from the fragmentation likely to be created from impact of a shell, any interior surface of the tub that is directly exposed to the pilot is covered by a multi-layer nylon spall shield. In addition, the front windscreen and canopy are resistant to small arms fire. 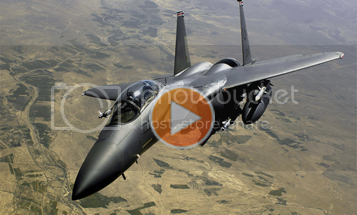 Subscribe to Skyfender's video channel and stay tuned to aviation video footages & military video archives. Click below to watch now!